Alan Weiss, MD is Board Certified in Internal Medicine, a staff physician at Anne Arundel Medical Center, and the Medical Director of Annapolis Integrative Medicine. Dr. Weiss welcomes patients with longstanding and complex medical problems and addresses them utilizing the best of conventional and integrative therapies including food choices, lifestyle and nutrients or supplements to find safe and effective avenues that allow for an optimal state of wellbeing for every person that walks through our door. Each client is treated as an individual with respect and compassion as we work together to create a well-being plan that supports our patients in overcoming illness and medical problems while creating a future of wellness. Dr. Weiss treats a wide range of medical issues including performing general health evaluations and providing recommendations from a holistic, integrative and functional medical perspective. Gastrointestinal problems: including inflammatory bowel disease, bacterial and yeast overgrowth, and irritable bowel syndrome. Dr. Weiss has structured Annapolis Integrative Medicine so that every patient can have the time necessary to review their case and concerns. He prides himself in listening, and leaving each and every patient with the experience of being known, appreciated and served. He and his staff respect and work with each person's choices and goals in the matter of their well-being and life journey. Getting you to feel well is his priority, and Dr. Weiss will be your "Let's Get Healthy" guide through the health-care maze and will help you make optimal lifestyle, food, nutrient and vitamin choices. He is board certified in internal medicine and is a fellow of the American Academy for Advancement in Medicine and the American College of Physicians. 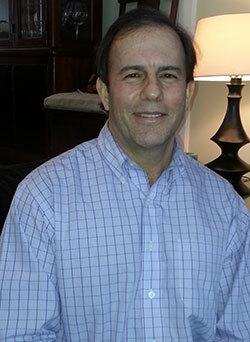 Dr. Weiss has practiced medicine for over 15 years. His clinical interests have led him to conduct studies and publish various articles relating to diabetes, chronic pain, fibromyalgia and chronic fatigue syndrome. Dr. Weiss' goal is to educate and treat his patient by incorporating the latest research in the areas of conventional and alternative medicine. He continues to pursue and educate himself in leading-edge methods of achieving wellness. Dr. Weiss is also a senior program leader with Landmark Education and has traveled extensively leading breakthrough transformational programs. Married with two sons, Dr. Weiss keeps active in a number of leisure activities, including running, yoga, and music, as well as extensive reading.